Do not adjust your sets – it is not quite Wovember yet. We are super excited to announce that the theme for this year’s annual celebration is ‘The Politics of Wool’. When we had our first team meeting this year, we knew we wanted to take Wovember back to its activist roots. A spirit of activism has underpinned all our posts that recognise wool as a premium textile and which highlight and publicise the work that makes wool special; however this year we want to be more explicit about wool’s connections to wider socio-political contexts – which brings us to the reason for this early Wovember post. Tomorrow, on the 9th September 2016, a Wool Conference organised by The Campaign for Wool is taking place at Dumfries House, Ayrshire. The event is supported by High Nfl Street chain Marks and Spencer 4 and the Campiagn for Wool patron, HRH, The Prince of wholesale jerseys Wales, has called it – with no trace of irony – “The Davos* of Wool”. Described as “the largest and most prestigious international gathering of wool experts ever held in the United Kingdom”, the conference – apparently not open public delegate applications – will feature spokespersons largely from luxury fashion brands, furnishings, Monument and upholstery. Together they will discuss the future of the wool industry and animal welfare. You can read cheap jerseys the official press release here. Without mention are any representatives from the small-business sector, from the craft sector, or from any of the grassroots organisations who work each day with wool. Tomorrow we are publishing an open letter to the Campaign for Wool on this website, asking why this community is not being represented at the conference. Furthermore, we shall ask the Campaign for Wool to take steps to lessen the problematic wholesale jerseys gap between the luxury brand-focused activities of their campaign and those Presentación of the inspiring wool-workers of this country who actually work with, and celebrate wool in their everyday lives and businesses. From years of writing here and reading your comments, we feel that our amazing Wovember readership is most likely as outraged as we are by the prospect of a Conference on Wool at which small wool businesses and independent wool workers are not represented. So we’re asking you to join us in a celebratory social media protest. Tomorrow the Campaign for Wool intend to share key themes from their conference on social media using the hashtag #woolworks. We would like to encourage you to join their discussion by also using that hashtag. 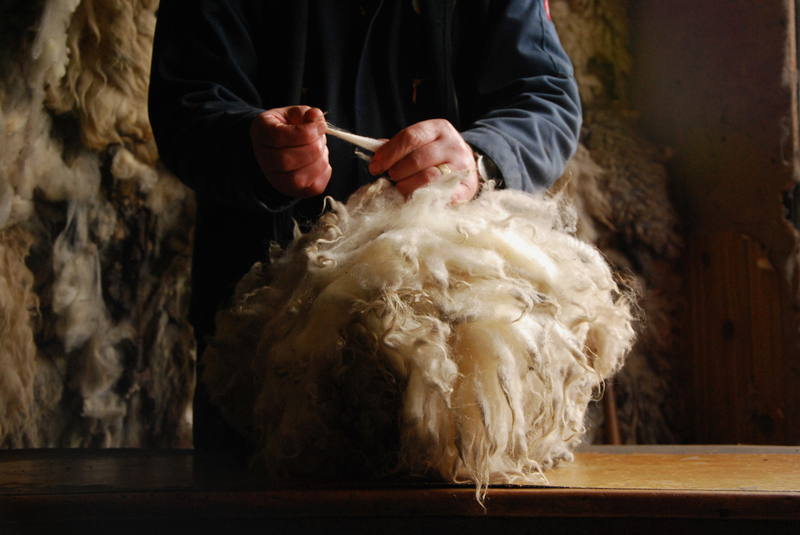 Our aim is to collectively demonstrate the diversity and richness of the wool industry and for our helpful social media contributions to broaden the discussion taking place in Dumfries House tomorrow. Use the hashtag #woolworks to add your voice to this event; to celebrate what you love about wool; and – above all – to give a massive wholesale jerseys shout out to those hard-working hand-dyers, weavers, spinners, wool workers, designers, crafters and such whose expertise and passion deserves praise and recognition. Our aim here is to publicly celebrate how highly we regard wool and all the people who work with it. Remember: to participate, upload photos of wool work to Twitter and Instagram with the hashtag #woolworks. * For those of you confused, as we were, by the meaning of “Davos”, we believe that HRH was comparing this event to the Swiss municipality of the same name at which political and business elites meet annually for the World Economic Forum. In the context of this wool conference that description is both fitting and depressing.